Home / News / [SPOILER] Is Coming Back To The Flash! [SPOILER] Is Coming Back To The Flash! Robbie Amell’s Ronnie Raymond isn’t the only person coming back to The Flash at some point later this season. Rick Cosnett (Eddie Thawne) revealed on Twitter that he, too, is returning as well. “Ok, hate to tease you but now I can say it: I’m coming back on #TheFlash!” he Tweeted this morning. No details are available yet but you can see Cosnett’s Tweet below. 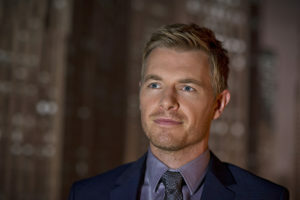 Cosnett’s character, Eddie, died in the Season 1 finale of The Flash.